This game is specially for those, who can't live without exciting feelings. You have a nice chance to be the real hero and explore all rooms. We know that you will cope with it, just have faith in yourself! Would you like to be the real hero in this game and in the whole planet? So, let us do it immediately! There is a hidden research facility in an unknown location in the ocean. So your task is not so easy as it seems to be at first! 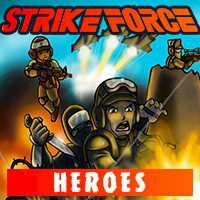 In this shooting game you take on the role of the brave hero. Be ready to go and explore all rooms. Use the arrow keys to move and S to creep. Go on your mission to conquer the secret hideout of bad terrorists. Do not forget to unlock the weapon you will need during your mission.